There are several types of weighing requirements in different types of industries. For counter-top sale, table-top scales and hanging scales or the likes are sufficient. For accurate and light-weight weighing requirements, digital devices with specific calibration are required. Similarly, for heavy-duty loads, just scales are not enough. Weighbridges are essential for weighing heavy loads. A weighbridge is actually a large set of scales. These are generally mounted permanently on a concrete foundation. These are usually used to weight entire rail or road vehicles and their contents. By weighing the vehicle both empty and loaded, load carried by the vehicle can be calculated. Naturally, these have to be designed according to the requirement and functions. 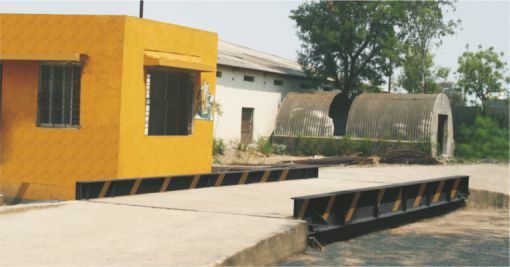 Sturdiness is a major characteristic expected in a weighbridge. These are hence built from steel or concrete. The weight of the load on a weighbridge truck scale is measured by load-cells, transducers that are found in any weighing system. They work by converting a small change in resistance into an electrical signal that is utilized.